The best metaphor for the Center were the people in attendance; local officials who have seen how it transforms a community, how it’s offering free access to health services, Bishop Carcaño and other religious figures who see it as part of their mission, day laborers who have been here since its beginnings and others who have arrived for their first day looking for work. 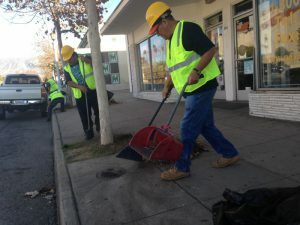 As a nod to the day laborers who played a key role in the state-wide coalition to pass the California TRUST Act, the Pasadena police came to explain their readiness to implement the law that went into effect this week. 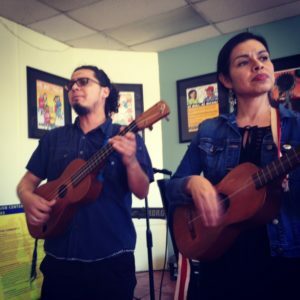 And of course, the day laborer band, Los Jornaleros del Norte, had everyone dancing.Those elements: workers and employers, neighbors and local officials, musicians and supporters, are the ingredients that make a Center and make a community.